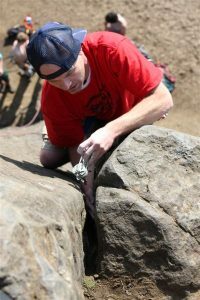 Your crag’s professional resident climber spends 200+ days a year at the crag. Most of those days involve actual climbing, but even when he isn’t climbing, he still drives to the parking lot, hikes up to the base of the rock, and finds someone to talk at. The author plugging cams on a route he has climbed only 600 times. Speed Crack (5.8), The Columns, Eugene, Oregon. Photo: Courtesy of Peter Brown Hoffmeister. Your PRC might be a little bitter that he wasn’t asked to write the new guidebook, but he doesn’t talk about that all the time, only some of the time. His sponsorship is gear-only from the local climbing shop. He also has a sponsorship from a taco stand in town. He wears their “Tacos Pescados” hats in three different colors. To round out his pro-deal, he gets three free growlers per month from his friend Todd who works at a local brewery. One way or another, the PRC mentions his sponsorships so often that most people think of him as a well-paid pro. Even though he’s not a true pro, he’s climbed with dozens of famous professionals. Tommy. Beth (when she was still with Tommy). And of course Sharma. But also older climbers like John Bachar and Charlie Fowler, or a young Didier (when he still climbed). 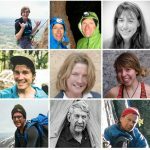 The PRC can name-drop a dozen more who’ve visited the crag over the years, or old pros he met up with on El Cap or in J-Tree. 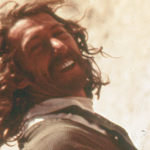 He’ll probably tell you about the time that Lynn Hill onsighted five of the crag’s hardest routes in a single day. Or he’ll reminisce about when he and Ron Kauk had a long, long, long discussion about the environment—about endangered species, raptor nesting, and the necessity of diverse native ecologies—all while climbing the 12+ crack at the far end of the crag, the one that’s so thin that the crux can only be led on two ball-nuts. The fact is, the older your PRC gets, the better he once was. Even though he claims to climb 5.13 trad, you’ve never even seen him on lead. He jokes that he’s busy now “cultivating his mystique,” as he stares off in the general direction of the sunset. The PRC talks to people about his worst epics. A dome in California that you’ve never heard of. A spire in the Bugaboos. There’s the same Cerro Torre story that everyone has: really bad storm, three days stuck in a tent. But you haven’t been to any of these locations so there’s no way to know what’s true and what’s exaggeration. Nothing says addiction like running 10 laps on your favorite boulder after dark. The Millennium Falcon (V4), Sisters Boulders, Oregon. Photo: Peter Brown Hoffmeister. 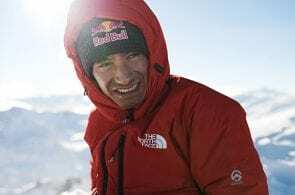 He’s also willing to explain what “factor 2” means, why bouldering in a harness isn’t the sin everyone thinks it is, and how he once rappelled 1,000 feet in a swami belt. You just want to climb today. 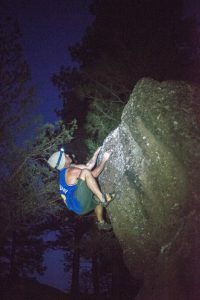 You actually came to the crag to climb rocks—hoped to send a few routes before dark—but whenever you see your PRC, you stop. I mean, he is your elder, and he is better at most of the routes than you’ll ever be. Sadly, these things are true. He has every single foothold memorized. He doesn’t even look before he sinks that perfect, left-handed ring-lock just before the swath of lichen on the 11c finger-crack. And he talks the entire time as he rope-solos up the techy 5.12a that almost nobody else is willing to touch. 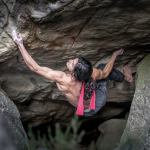 When he’s climbing, he either yells loudly while attempting incredibly difficult moves with his ascender on a fixed rope, or he climbs laps in super-stealthy-otherworldly-quiet-style even though he’s on a pump-fest that most people can’t do more than a single lap of. Of course he talks about his own first ascents. These aren’t always well-known routes either. 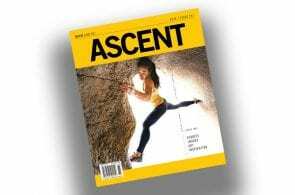 He tells you about an obscure 5.13b variation that he was “only able to send in 2006 because of perfect temps that December.” He mentions other people’s first ascents as well, then circles back to his own. But did I say beware of your Professional Resident Climber? The old guy who sits near the rail at the skate park. The surfer who hangs out on the jetty, critiquing people’s selections during sets. The snowboarder who sits all day at the bottom of the half-pipe, yelling things at young people. And at a climbing crag, who else is willing to take first-time visitors on a tour of the cliff, to talk to each of them as they hike along the base, and ask what they plan on climbing today? Who else is willing to go out of his way to inform every single person who comes up on a June Saturday that a yellow jackets’ nest fell and smashed open on the ledge at the belay station on everyone’s favorite 5.9, or that both anchor-bolts for some reason came loose on the hanging belay of the second pitch on the easiest 5.10b multi? And who else is going to replace those loose bolts? Or fix them with epoxy? Also, your PRC has been known to hike his cooler into the base and hand perfect strangers two cold beers after they get off the most badly-equipped wanderfest. He’s been known to share his bag of pretzels, to give people apples from his backyard tree, a scoop of his peanut butter, and to offer the uneaten half of his Cliff Bar. He’s fine with loaning out two of his quickdraws for the rest of the week, and he’ll let anyone take a lap on his already established toprope. Plus, he’ll give you a belay any time, on anything, anywhere you want to climb. And while belaying, he just might tell you a story that’ll make you laugh. 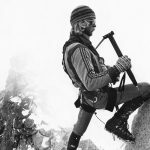 Peter Brown Hoffmeister’s ultimate goal in life is to become the PRC at the 11-anchor, often-overlooked The Columns crag in Eugene, Oregon. He’s already “sponsored” by a non-climbing-related outdoor clothing company (Ridgemont Outfitters) and he’s busy throughout the day, cultivating his mystique. 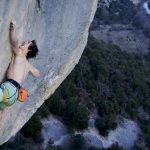 As a super local, he’ll be racing speed-climbing champion Hans Florine on an El Cap Day (3,000 feet of climbing at his local cliff) on June 12th, 2018. Find Peter on Twitter and Facebook! Even if such a person existed, this kind of treatment would be less than funny. The fact is that there are many people very close to this, and they deserve mad props. This is just lame.